Avinava Dubey is a PhD student in the Machine Learning Department at Carnegie Mellon University working with Prof. Eric Xing. He is interested in distributed machine learning and its application to Natural Language Processing and computational biology. In the past, during 2 years at IBM Research and Masters at IIT Bombay, he has worked on information retrieval and semi-supervised learning. 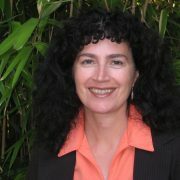 Dr. Mercer has a background in zoology and has worked in various aspects of bioinformatics over the years. Having managed the development of the Canadian Bioinformatics Resource, a national life science service-provision network in Canada, he worked as Director of Software Engineering at Gene Codes Corporation before moving to the External Research team of Microsoft Research. In his current role as Director of Health and Wellbeing, he manages collaborations between Microsoft and academia in the area of healthcare research. Dr. Mercer’s interests include bioinformatics, translational medicine, and the management of scientific data.